I am having trouble recording my 1st song as a lead vocalist. I am doing a song challenge for a music VIP membership that I belong to and when I recorded the scratch track last month I figured I sounded bad because of my allergies. I re-recorded yesterday and when I practiced the line that I was about to record it took a little bit but when I got it to where I was happy what it sounded like I then hit record with a 2 measure lead in an Bam I tense up and recorded a underwhelming vocal take, usually at very low volume, cracking etc. I then pause the track and take off my headphones and re-sung the part and most of the time it sounded fine with the volume level I want and the tone was fine also. I thought it was the closed back headphones, I tried to only keep it over 1 ear. I tried without the headphones at all, the sound was better but my timing was way off. I can sing it in a lower range and it would ok but I was trying to sing higher in the Pre-Chorus and Chorus to add depth to the song. I know what I am experiencing is in my head because I get the same issues when I am recording a keyboard part. Once that record light is on I become Bambi (Deer in the headlights). Unfortunately I am recording myself and I do not have a producer that can fool me by telling me to do a practice take and actually record it. I am looking forward to hear some feedback! Thanks @Gaston_Jauregui. I will post an audio track later tonight when I get home. @Gaston_Jauregui, here is my extremely rough version. Let me know if you can open it. If it does not work I can use Soundcloud. 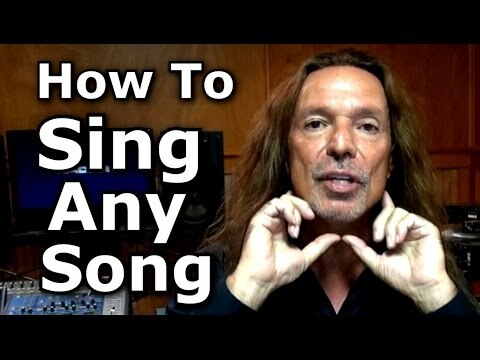 So basically what you need is to brighten your Low notes, im gonna post you a video where you´ll see Ken doing all his voice very bright and explaining it as he goes, you might feel like you are compromising your sound in the beginning stages of this, because thats not the way you usually sing low notes but that´s the way you´ll grow your voice right, then you´ll be able to make your voice less brassy but has to sound Exactly the same in your whole range, not like two different voices, even though you´ve learned about chest and head, you have to match the tone on both to make one long powerful note! Thank you very much @Gaston_Jauregui, I really appreciate the feedback. I will work on this. I was trying to make sure that I had room in the chorus by going low in the verse. This will take a little work to get down but it will help me a lot. I am only in my 3rd week and I am still not sure I have found my voice yet but this has uncovered quite a few questions that I had of why I have been struggling. I will, I am taking a day off because I was "singing" for about 4 hours on Sunday and I did not take a day off from practicing. I look forward to implementing these techniques. Thank you again. 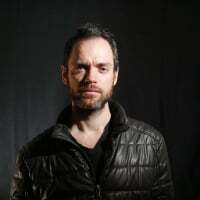 @Gaston_Jauregui after quite a few re-recording sessions of trying to punch in line by line I spoke to the the guy that runs the VIP Membership I belong to and his advice was to set up the mic every day and record 5 takes and shut it down. Go back after a few days and listen back. I did that and it still was poor. Yesterday I left work early, set up the mic, I did about 10 takes each with (2) mics after doing my 2nd KVTA exercise / warm up for the day and let it rip. I am not totally satisfied with the result but it is so much better than before. I applied the video that you recommended and here is what came from it. I doubled the Vox from (2) different mics. I still need to tweak the pitch and timing. Thank you again! Next month is mixing. I still would like to harmonize the Chorus at least. I will Gaston, thank you! @Gaston_Jauregui, although I would love to re-record the vocals for this song and eventually I think I will. Here is my mixed and mastered song. Now on to my next one. Thank you for your helping me get it done, I truly appreciate it my brother! The red light syndrome. People tense up like that because they tell themselves that it has to be perfect because it is what people are going to have to hear for eternity...........right? What your brain isn't telling you is that you can hit that record button as many times as you need to. Made a mistake? unless your paying a studio......who cares. Do it again. You will get to a point eventually where you will get tired of re recording tracks, and want to complete them for entirely different reasons. (It does get old re-recording tracks) It will also change the way you prepare for recording a track. Just keep recording, re-recording, and then some more until you get it the way you want. That's just the work involved with recording, and creating music/songs. The better you prepare, the easier it will go. @timbur sounds very good my friend! you improved a lot! Thanks again @Gaston_Jauregui, KVTA has paid off in so many ways already and I am just 3 months in. Be well!